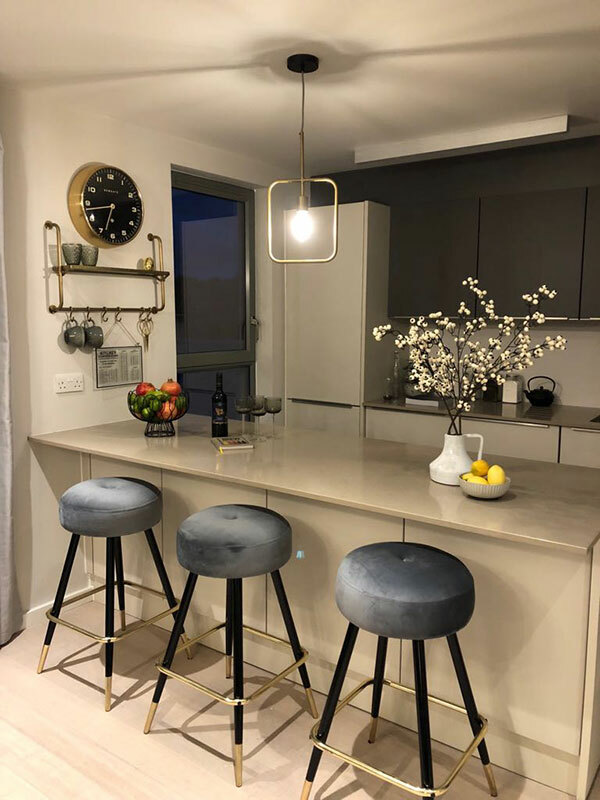 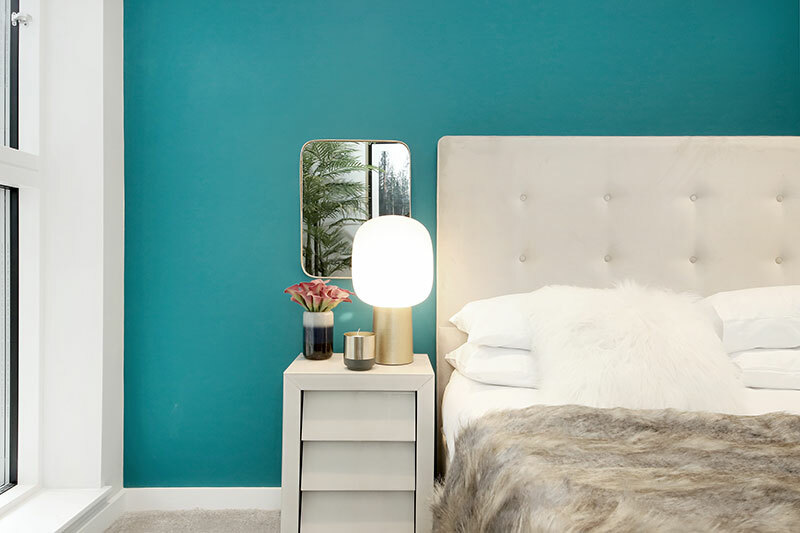 With the rear Mews Houses complete, the apartments are following suit with progress well advanced with the feel of the living space now coming to life. 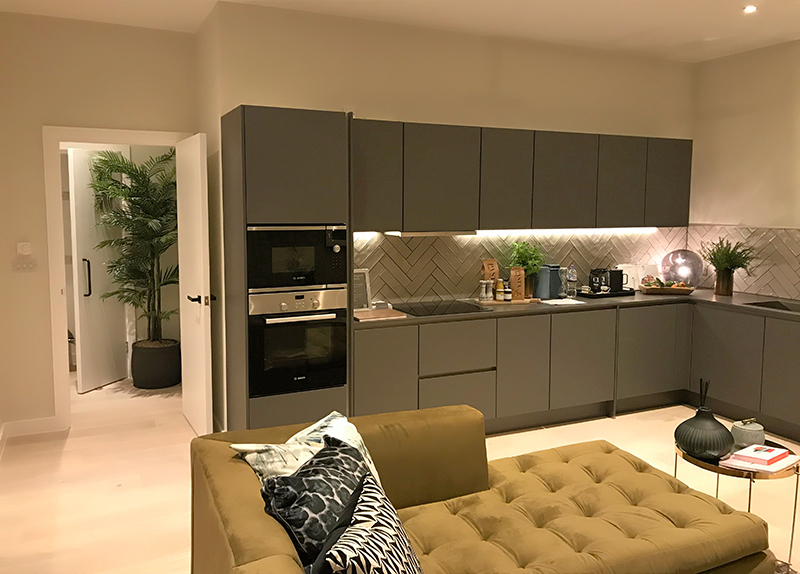 The upper floor kitchens have been installed and second fix M&E complete allowing final decorations to commence. 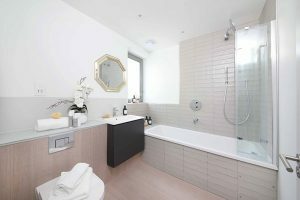 The tiling and installation of the sanitaryware within the bathroom and en-suite harmoniously continues the style and desirable specification of the mews houses across each of the apartments. 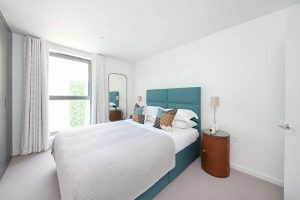 With this complete, the top floor south facing apartment is now our show apartment during our sales phase to spark the imagination of potential buyers. 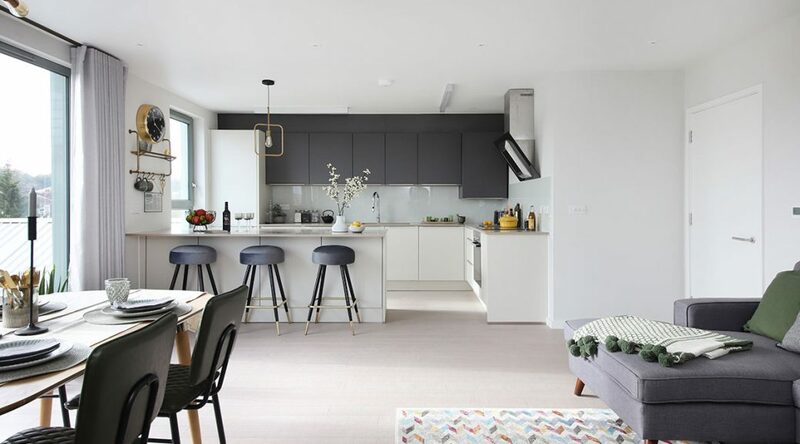 The interior of the apartment has been designed and presented by Caz Myers Interior Design, a local to Crouch End putting her personal touch on the space and open living offering. 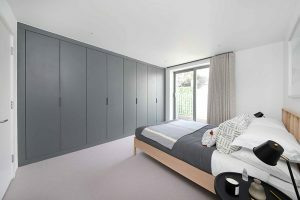 Each apartment offers individual and generous outside balconies / terraces which are furnished with final floor finishes and balustrading. 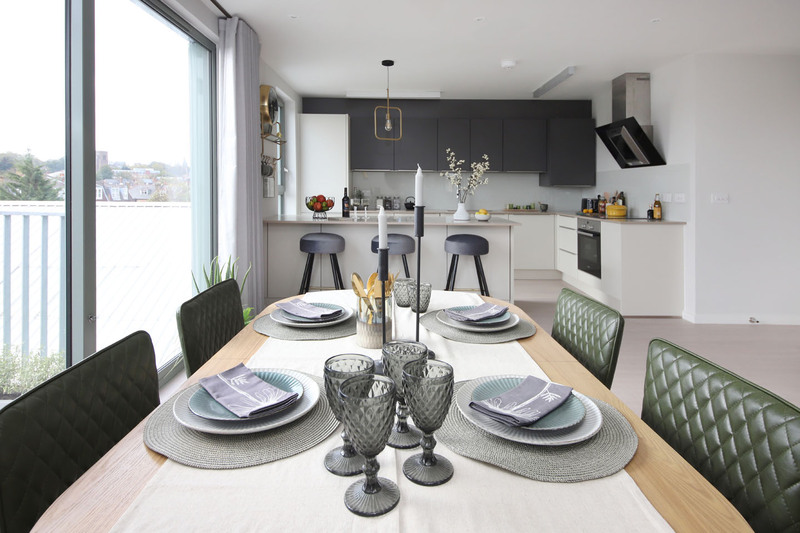 We opened the doors of the development to the public earlier this month to present the scheme to prospective buyers where we had a great turnout with positive feedback on the scheme. 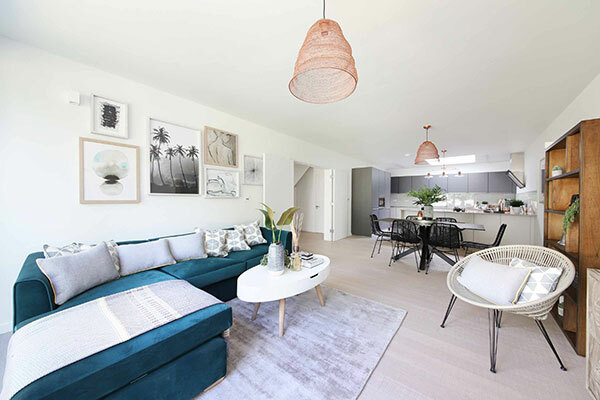 With both the show house and show apartment ready, interested parties are welcome to view by appointment with our sales agents. 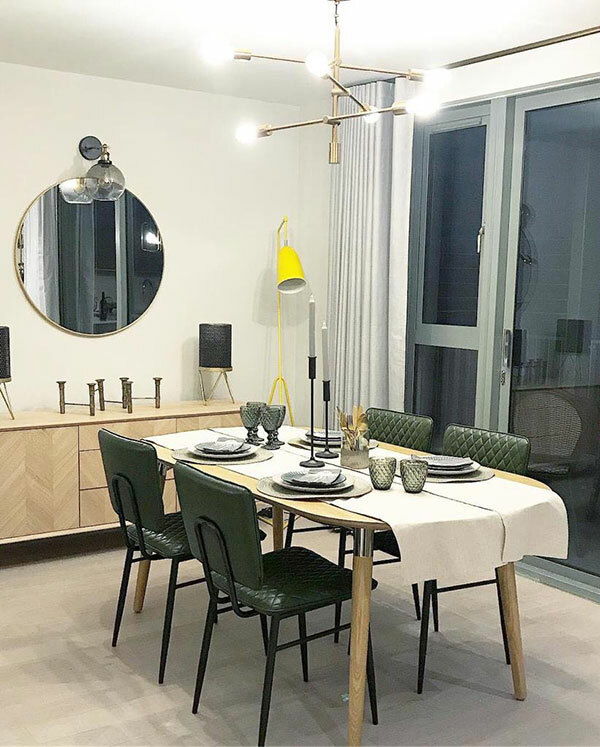 Habito is progressing well and the two-bedroom ground floor show apartment is complete and looks superb with Interiors designed by Alexander James. 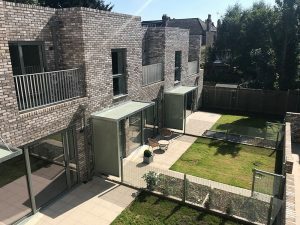 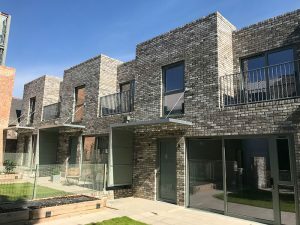 We held a successful open day on Saturday 13th October and received excellent feedback from some 50 visitors who thought the development was outstanding and the best development in the area. 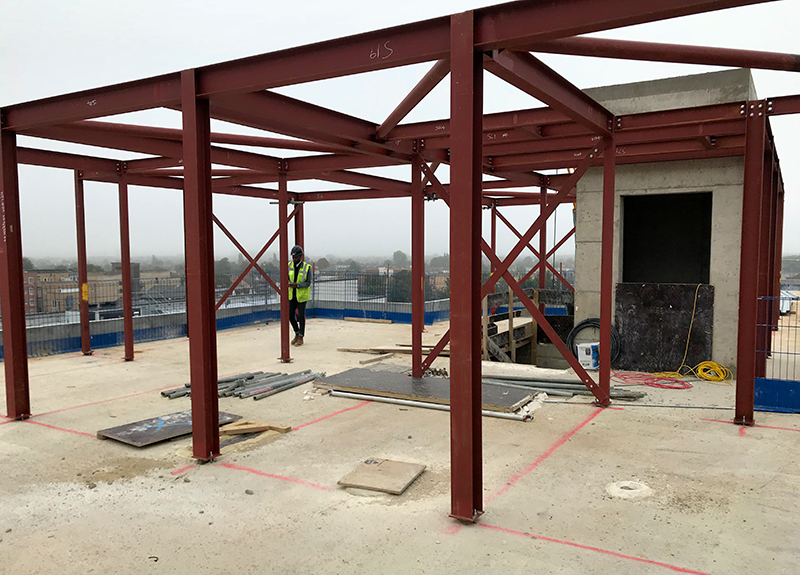 Elsewhere within the development the penthouse steel frame has been erected plus kitchens and bathrooms are continuing to be installed throughout. 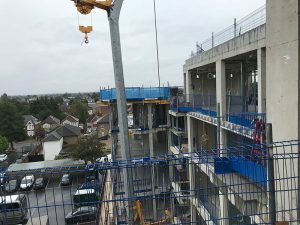 The superstructure is complete with blockwork and brickwork taking shape on the lower levels. 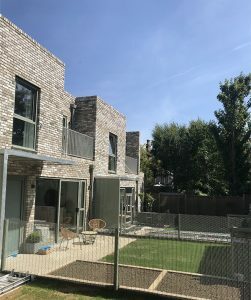 Habitó is progressing well. 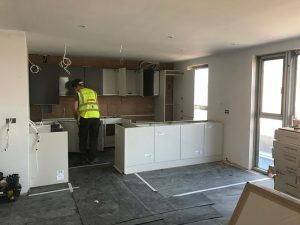 The kitchens are all installed on the first floor of block A. 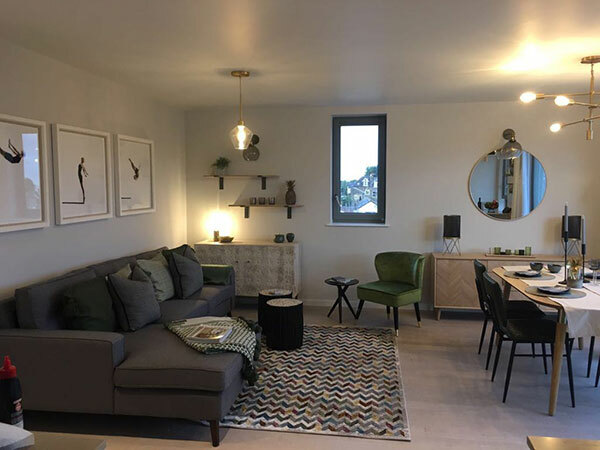 The show apartment flooring is fitted, the windows are in and look fantastic showing off the amazing space and ceiling heights of the unit. The bathrooms in the show apartment are installed, and tiling is near completion. 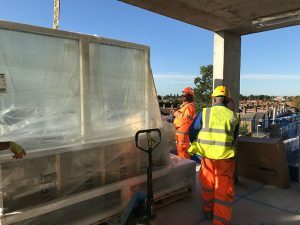 The windows for both blocks have arrived and are in the throes being installed in Block A. 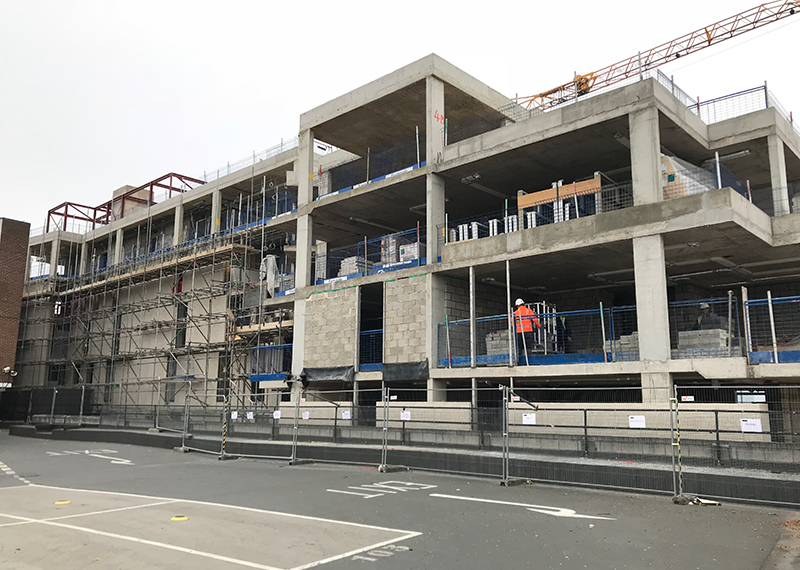 Block B is looking great with the superstructure complete and ready for the blockwork and brickwork to commence. 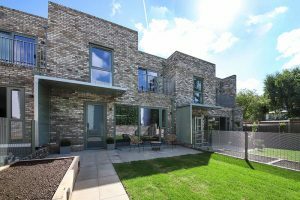 The three Mews Houses are now complete finalising this exclusive private enclave. 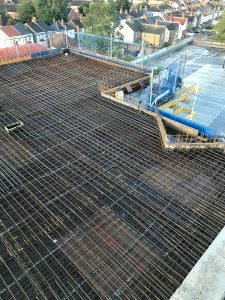 The under croft that leads from the pavement to the apartments and rear Mews Houses has also been prepared for final fit out with below ground services and paving complete. 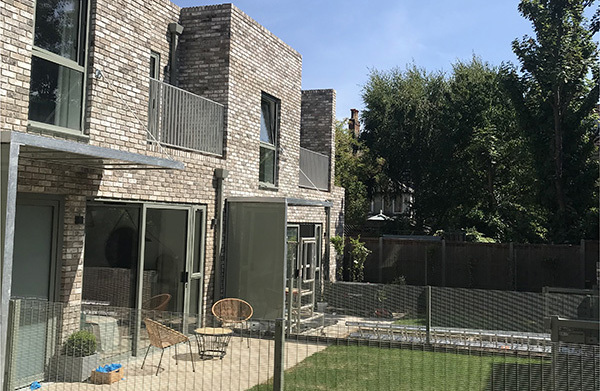 The ground floor bike/storage area has taken shape structurally and on completion will be available for use by residents of both the mews houses and apartments. 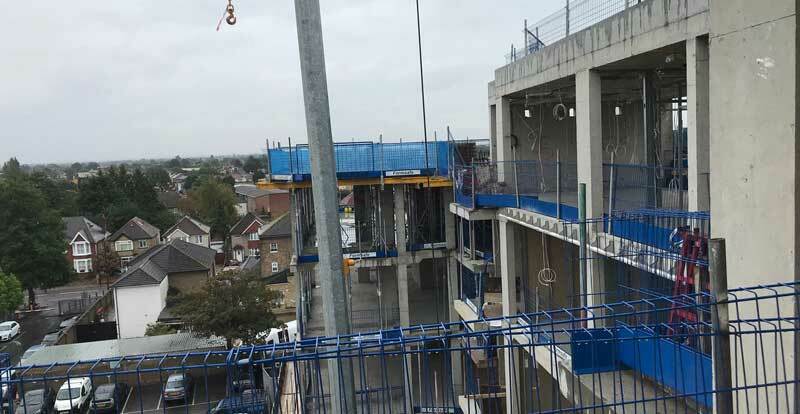 Progress continues within the apartment block with the fit out sequenced from the top floor down to the lower floors. 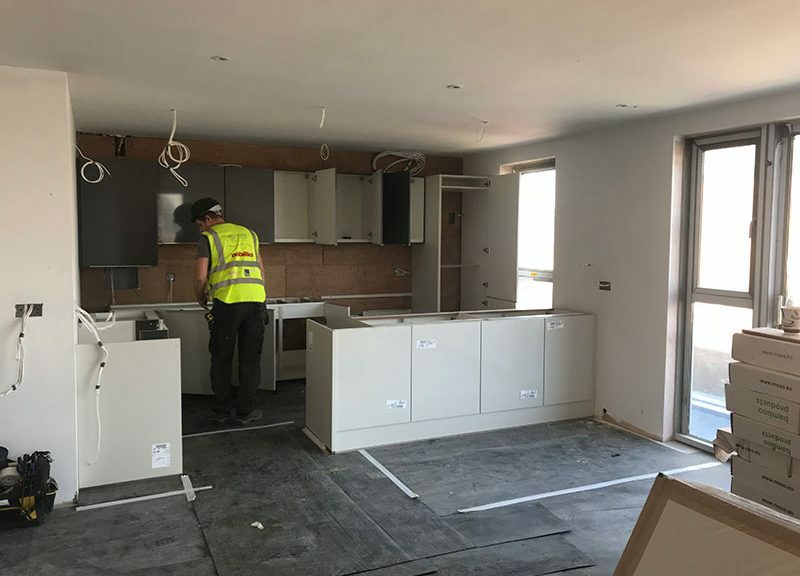 Fit out materials have been stored on site ready for immediate install such as the kitchens, boilers, tiles and flooring. 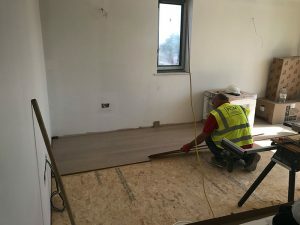 With first fix M&E in place throughout, the Nobilia kitchens are being installed on the top floor with the bamboo flooring also progressing throughout. 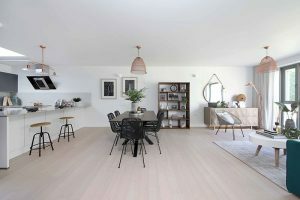 Habito is looking good. 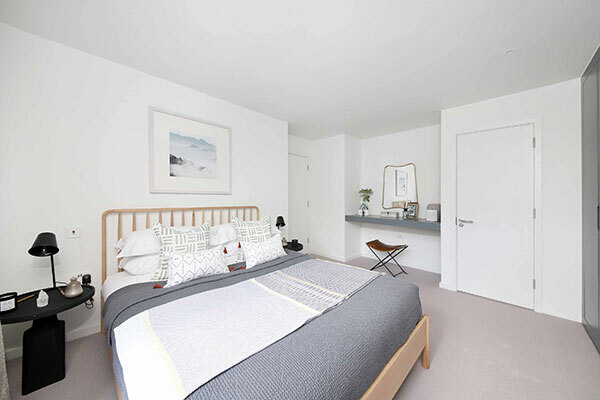 Block A is well on the way with the apartment layouts now taking form. 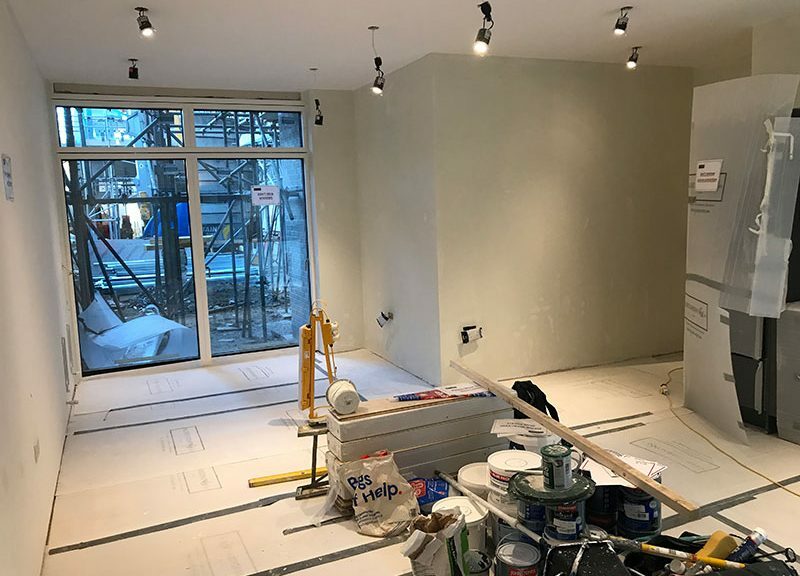 The dry lining and plastering are advancing rapidly up to the third floor and windows are due to be installed imminently to allow further advancement of the interiors. 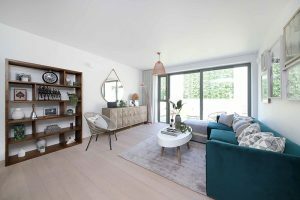 The show apartment due for delivery within weeks ready for our Interior designers to furnish and dress in preparation to launch sales. 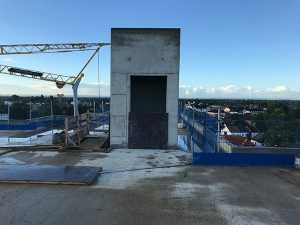 Block B frame is coming to completion and the whole development is starting to look stunning with amazing views across London from the penthouse floor. 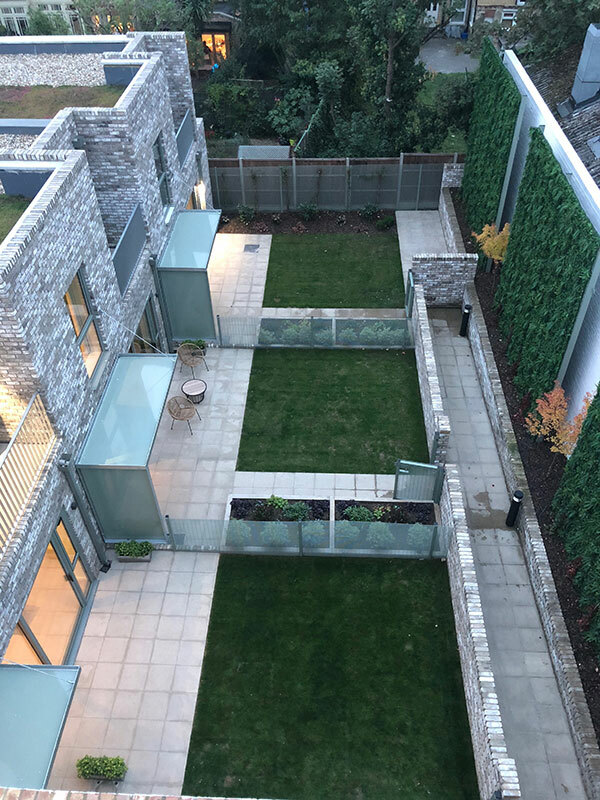 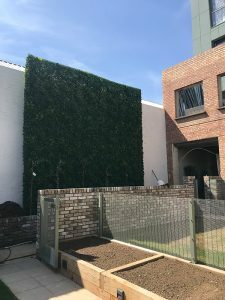 The show house is now open and the landscaping complete, which creates a separation of the gardens with planters and stylish panels with subtle details finished in olive green that correlates with the cladding. 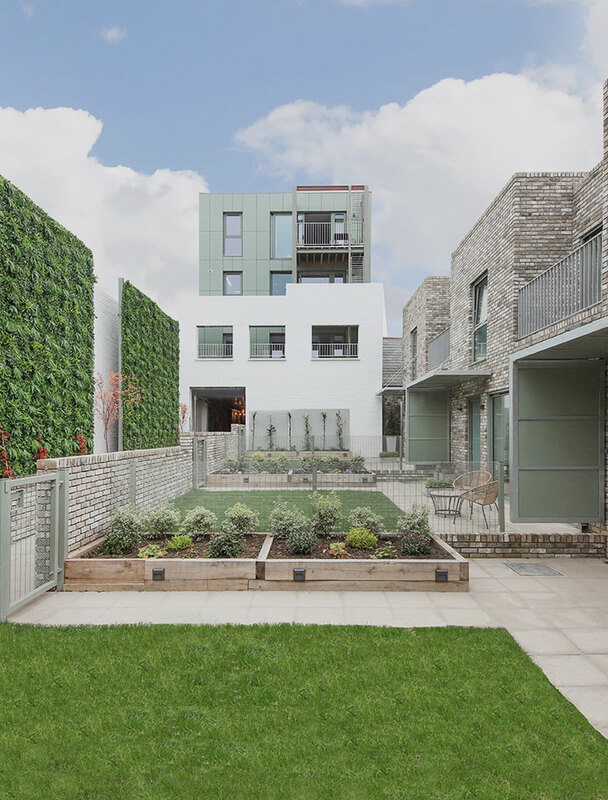 The green walls which sit opposite each Mews House enhance this exclusive enclave and soften the surroundings providing a sense of tranquillity in the outside space. 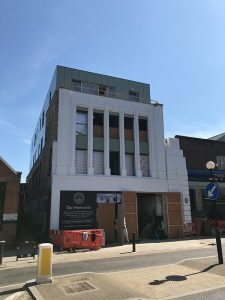 The finish of the front façade has been enhanced which has been decorated including additional infill cladding panels to improve the character of the already distinct features. 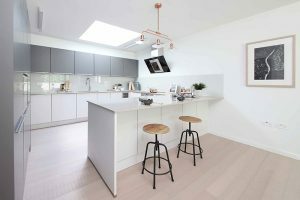 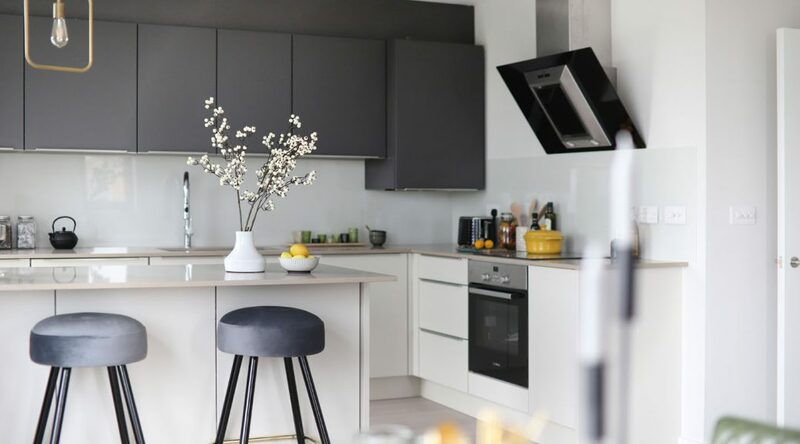 The specification continues from the Mews Houses through to the apartments to include Nobilia kitchens, bamboo flooring / underfloor heating and artisan tiles. 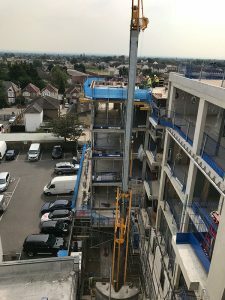 The internal staircase of the apartment block is complete and we are now in the final stages of the apartments fit out to commence with materials, kitchens, sanitary ware and flooring to be transferred onto the upper floors for install.